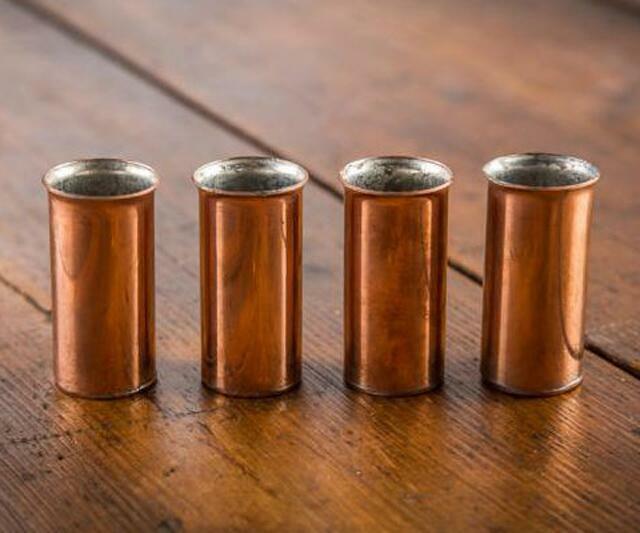 Jacob Bromwell's set of Old West shot glasses are pure copper, handmade by up to 5 American workers, and in very limited supply. So get 'em while they're smokin' hot, and you just might have the perfect beginnings for staying warm this winter. The perfect middle of that equation is a bottle of Sriracha Vodka. And the perfect ending, Charlize Theron on a wampa rug. Cloned 4 times to match the number of glasses in the Old West set. 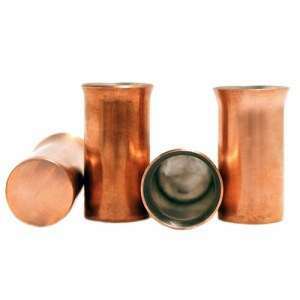 Maintain the spirit of copper cupped Moscow mules, but use the Old West copper shot glasses to break the cocktail down to its most crucial parts: the vodka and...strike that. Its most crucial part: the vodka. 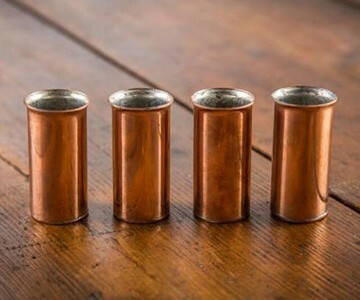 Each shooting aid holds 1-1/2 fluid ounces and has been hot-tinned on the inside "using historically-correct techniques" so the glasses won't corrode or be condemned by the FDA.